A classic summertime fruit that needs no introduction, the watermelon is as refreshingly sweet as it is cooling. The juice is easy to extract and is prepared by simply deseeding the watermelon, cutting it into chunks and blending it. It consists of mainly water and electrolytes and has a high fiber content which makes it the absolute perfect drink. Perfectly sweet without any additional sugar, watermelon juice is a wonderful treat that is great for your body. Keep reading to find out how. Lycopene is a powerful anti-oxidant that has been shown to be good for your heart, skin in addition to preventing cancer. Our brains are finetuned to recognize brightly colored fruits and vegetables and lycopene is the compound that is responsible for the gorgeous red of the watermelon pulp making this otherwise simple juice a favorite with many. Known for protecting you’re the cardiovascular system from radicals, studies have shown consuming watermelon juice regularly lowers the occurrence of heart diseases. Lycopene has also demonstrated the ability to keep skin youthful by protecting it from damage by ultra violet rays. UV rays are known to cause skin aging, wrinkling and even cancer. The higher your intake of lycopene the lower the occurrence of not only skin cancer but other types of cancer as well. A glass of watermelon juice before heading to the beach could be the extra boost your skin needs to protect it from damage. Lycopene’s anti-inflammatory and antioxidant properties also prevent age related macular degeneration. Found in several parts of the eye, it protects the eye from oxidative damage and inflammation. Watermelon juice contains magnesium, potassium along with the amino acid citrulline which work together to relax blood vessels and enhance blood flow. It maintains a good balance of acids and electrolytes for stable blood pressure, resulting in a positive effect on your cardiovascular system. The take-home here is that if you would like to promote healthy cardiovascular function the load up your watermelon juice. I am positive it comes as no surprise that watermelon juice is excellent for your skin. Staying hydrated is great for the skin and the high-water content in the watermelon juice is a sure way to do so. Water melon juice also contains Vitamin A and C. Vitamin A promotes the growth and repair of the skin while Vitamin C aids in the synthesis of collagen which is the main structural protein for our skin. Watermelon juice is a great natural cleanser as it contains diuretic properties. It has demonstrated a great ability to help with kidney stones, and other unwanted toxins. It does so by stimulating kidney function and flushing out ammonia and uric acids from the blood stream. 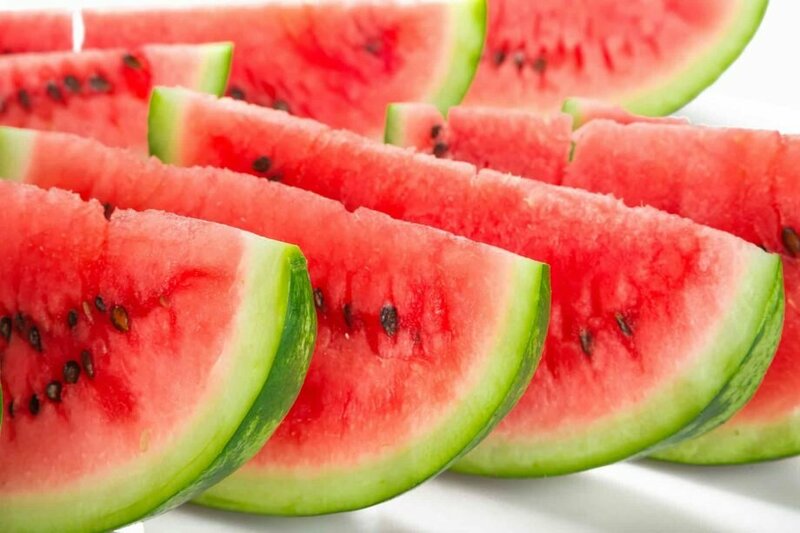 Including the watermelon seeds in the juice is likely to have even greater positive effect in the kidney function. Watermelon juice is infamous for its water content and it is very easy to assume that, that is all you get from consuming watermelon. Nothing could be farther from the truth though. As we have established above watermelon juice not only delivers a high-water content, but it also has innumerable nutrients that are great for the body. The rind is also filled with plenty of nutrients and can be included in your juice. You won’t even recognize it because of how delicious the juice is. You don’t have to wait for summer to enjoy the juice and benefits that come with it. Start now or on your next trip to the grocery store.